Couple of weeks ago I got a load of canada geese, breasted them and put them in the fridge to age, most got eaten just fried with salt and black pepper, but having been given the Dariush Lolay cookbook Cazador for xmas I thought id adapt the duck breast recipie. 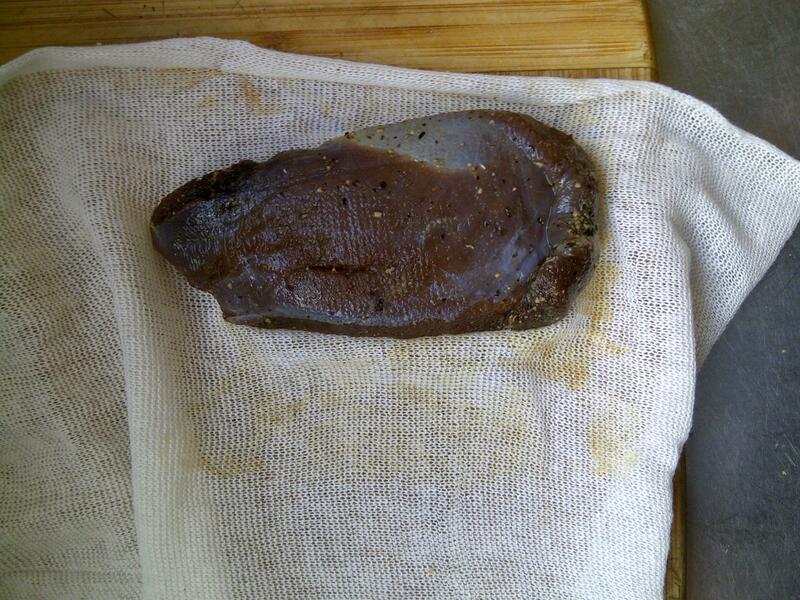 So cured were two breasts, in a salt and spice mix, then hung to age for 14 days in the fridge. 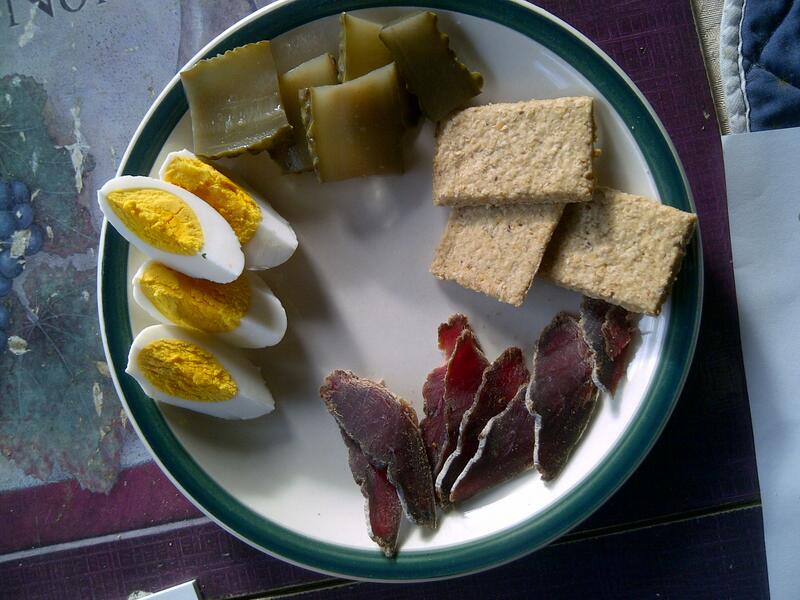 So todays lunch was sliced breast, gerkins, and pickled egg on oat crackers all home made, its not going to last the weekend! R93, Beaker, Dynastar27 and 1 others like this. I'm surprised it lasted long enough to photograph. @Marty Henry are you able to share the recipe. I have some goose breasts in my freezer that might be good candidates for this treatment. Heres how Pete, chop up a couple of bay leafs and mix with a cup of salt. Put a layer of salt in something that wont rust big enough to hold the breasts without touching. Smash up 2 cloves of garlix, add a teaspoon of ground fennel seed and star anise and rub this all over the goose bits, put on the salt and pour the rest over them. Leave for a day in the fridge. 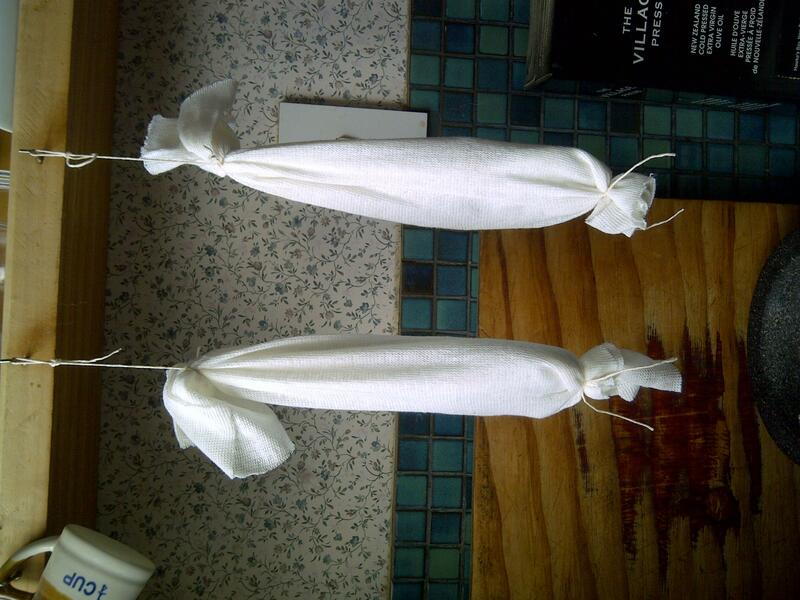 Wash the salt off and wrap in cheesecloth then hang for 7-14 days till they are firm. I used the beer fridge and possibly left them a bit long so recommend trying about 10 days. P38, Beaker and nightshooter like this. I'll be giving this a go that's for sure.